Time-out. Before al you Hincapie fans out there start calling me names, I would like to emphasize that I was extremely charmed by the design of the Ronde jersey that was recently launched by Hincapie Sportswear. Moreover, it reminds me of one of the jersey designs I have been working on for the Sven Nys Cycling collection which you might see in a few months if it is selected for the ‘My Legacy’ collection. It is a shame though that it is a South-American product by an American brand built on the ‘legacy’ of an American doped cyclist. I don’t know about you out there, but I am clearly not happy with the fact that George and his family are using our national colours to improve sales. Didn’t you do enough damage to cycling George? That said, the design is awesome and completely my cup of tea. 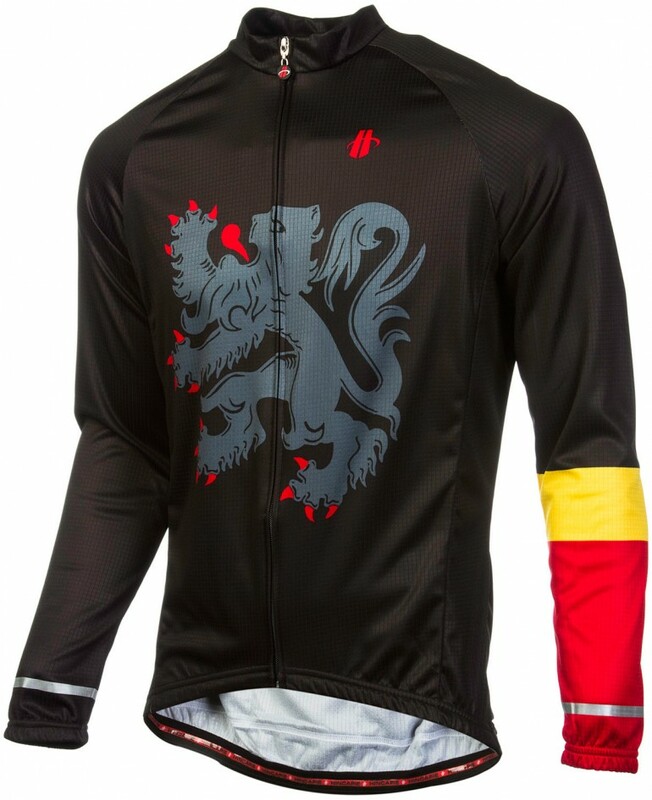 I am especially keen on the way the Belgian flag is incorporated in the sleeves, exactly the way I would have done it. Damnit George, why couldn’t you stay away from the candy so that I could enjoy this design without feeling guilty? Hmmmm….is it naive your opinion no Belgian professional or amateur cyclist ever doped? Frank Vandenbroucke 2002…caught with banned substances and handed a 6-month ban. FOR THE RECORD: I am sickened by the damage doping cyclist of all national origins have done to the sport I love. You’re absolutely right when you say that these -amongst other- doped cyclists damage the image of the great sport of cycling. You are absolutely wrong though if you understood that I suggest that no Belgian professional or amateur cyclist ever doped himself. What I clearly stated is that a doped cyclist who has nothing to do with our nation should not use our national flag as a commercial billboard, even if the billboard is extremely well-designed. I stumbled upon your website and have really enjoyed reading it. I wondered if you had seen these Flanders jerseys.